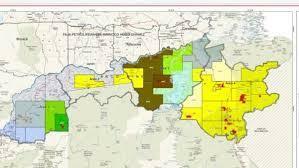 On June 14 Venezuela’s National Assembly passed a resolution rejecting the creation of the Strategic Zone of National Development Mining Arch of Orinoco (OMA). They had some unlikely allies–dissenting Chavistas. During the plenary, Chávez’s former environment minister, Ana Elisa Osorio, offered details about the dangers that this project entails for national sovereignty and the environment. The resolution rejects Executive Decree Nº 1.425 that allows the launching of the OMA for violating basic constitutional principles, international norms and threatening the environment. In February, in the context of a soaring economic crisis, the Venezuelan government launched a massive campaign to attract foreign investment in its deposits south of the Orinoco belt. The OMA, an area rich in gold, diamonds, coltan, iron ore and other minerals is also home to indigenous nations, fresh water and sensitive ecosystems. With this grand-scale mining plan, the Venezuelan government hopes to diversify its extractive economy, while increasing its foreign currency flows and servicing its foreign debt. The OMA has an extension of over 111,000 square kilometers and is referred to as an “arch” because of its shape on the map (see above). According to official estimates, the OMA has deposits of 4,000 tons of gold, which could reach up to 7,000 tons with new explorations. The government calculates it can obtain potential revenues of over US$ 280 billion from the riches under the ground in the OMA. Chinese companies have been invited together with investors from other countries under the framework of joint-ventures to begin exploration and extraction. Canada’s Gold Reserve, which had been expelled from the country in 2007 due to issues surrounding environmental degradation, has been invited back and given large gold mine concessions in exchange for investment and leverage of fresh loans. The company will receive compensation from its arbitration case after the 2007 expropriation with the proceedings from the new mining activities. But beyond the immediate financial benefits of this massive project, the Venezuelan government expects to move away from its dependence on oil and, at the same time, encourage legal mining south of the Orinoco River. The gold deposits of the AMO have for long being exploited through highly-destructive illegal mining. Currently, the area has been taken over by armed factions—with compliance from National Guard components and other regional and national state officials—that seek to control this territory and its minerals. Violence has therefore become endemic, and the pernicious social effects of illegal mining have also been felt hard in the region. The latest violent episode regarding illegal mining was the death of over 20 miners in Tumeremo as a result of an internal struggle for territory among criminal groups. At best this episode showed the government’s loss authority and monopoly over legitimate violence in the region. At worst it revealed the violence involved in the government’s attempt to regain control of the region, to pave the way for investment. Indeed Decree 1425 goes in line with the Maduro government’s increasingly authoritarian tendencies. It restricts ‘particularistic’ actions that may be carried out in protest to these developments from trade unions, indigenous peoples and non-governmental organizations. With this executive decree, the government has denied legal obligations to carry out environmental assessment projects. It violates international human right provisions upheld by the national constitution of 1999, such as ILO’s 169º convention on the rights of indigenous peoples to free, prior and informed consent to any development project in their lands. Ultimately, this course of action will enable the militarization of the area, potentially worsening human right violations in the context of a general state of exception decreed by Maduro. In response, civil society organizations—mostly environmental groups, indigenous organizations and grassroots movements—have been active in voicing their concerns about the OMA. They have gathered signatures from over 1,000 intellectuals and grassroots leaders from Venezuela and abroad rejecting this project. Government officials have been emphatic in defending the strategy as a sound way to increase cash flows to the economy and bring the area back to state control and regulation. The government therefore dismisses critical voices as functional allies to the criminal organizations that profit from illegal mining. Yet, it is still unclear how the governmental project will help safeguard fresh water deposits from the area and include local communities in key decision-making processes. Formal consultation and consent with local communities has been so far absent in the negotiation of new investments. The plan to quickly advance the development of the AMO responds to the critical economic situation the country faces and the government’s refusal to take on economic reforms that even some of its allies have suggested, such as: unifying the exchange rate, relax retail price controls and establish a set of targeted subsidies to the most vulnerable population. The Maduro government has effectively become more pragmatic in its investment policy while maintaining its policies of command and control over the economy. For example, earlier this year, Russia’s Rosneft increased its assets in Petromonagas joint-venture from 16 to 40%. This sale procured US$ 500 million to state coffers. But in the long run, initiatives such as the OMA, rather than diversifying the economy deepens the country’s reliance on a model of extractive dependence and rentierism, with all the attendant social and ecological problems. *Antulio Rosales is a PhD candidate at the University of Waterloo. His research focuses on foreign investment in Venezuela and Ecuador’s oil and mining sectors.